The Tasmanian Olive Council (TOC) is a branch of the Australian Olive Association (AOA). 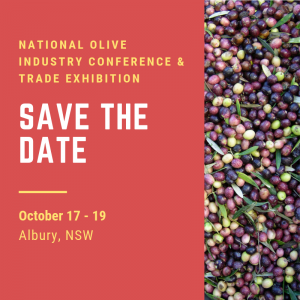 The TOC represent olive growers and other olive enthusiasts in all regions of Tasmania and is the sole Tasmanian olive industry association. Membership is diverse, including small boutique groves and larger groves from all parts of Tasmania to businesses creating products from our produce grown in the State of Tasmania. The TOC was formed in 2004, after the amalgamation of regional associations to serve both growers and industry partner members. New members are encouraged to join and details are available by contacting the Secretary. The main aims and objectives of the TOC are to inform and support growers in various aspects of the olive industry in Tasmania. Olives grown in varying climates have different fatty acid profiles. Cool climate Tasmanian extra virgin olive oils have amongst the world’s highest proportion (81-83%) of oleic acid, a mono-unsaturated fat. Correspondingly, our oil has very low levels of saturated fat. These factors make our olive oil highly nutritious.